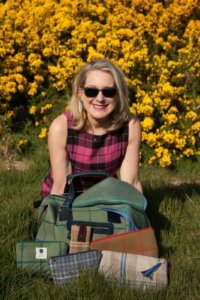 There was a manor home next to the Royal Dornoch golf course for sale and they thought, “Why not recreate this Georgian manse house into the luxury boutique experience that others like us, were looking for?” They realized that more and more Americans were coming to Scotland to golf so there was a demand for a high-end place to stay. 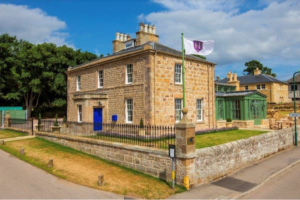 They renovated the estate and opened their doors calling the new venture, Links House. 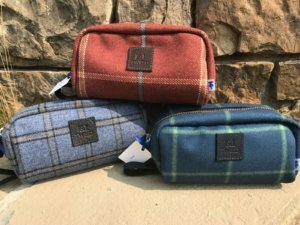 “Then I noticed that the tweed products sold in Scotland could be updated too.” Liz decided to create a Links House tweed and use it for a few branded products that would be sold at the hotel. 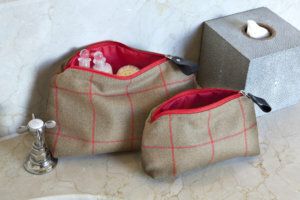 Her small line included toiletry bags for men and women created in small batches by a local seamstress. But they needed a larger production facility. 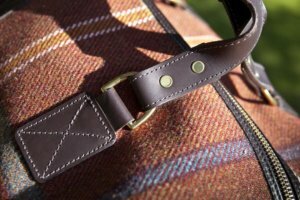 “There was a mill in a town a couple of hours away from Dornoch that made goods for Burberry and Hermes among others.” Liz and her daughter reached out to them. “They took us on, so we were up and running in no time.” They found an artisan seamstress next door who could handle the numbers they wanted. It was run by another VentureMom who was excited to help them, so Liz felt great about the entire arrangement. 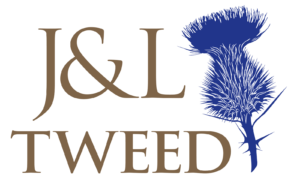 Liz and her daughter Janie came up with the name J & L Tweed using the initials of their first names. 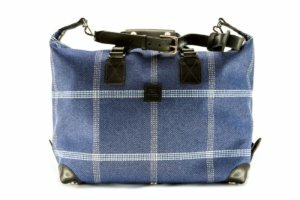 They sourced various tweeds, set up a web site and began production. “It was so much fun to grow the business with my daughter.” But then Janie wanted to experience bigger business and left her mother to run the show and Liz was loving it. 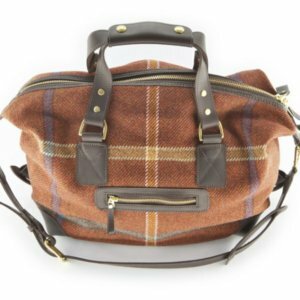 She began by offering the make-up bags and men’s travel bags in multiple patterns of luxurious tweeds and lined them with waterproof polyurethane in fun colors. The first sales of the expanded line came from the front desk of the hotel. 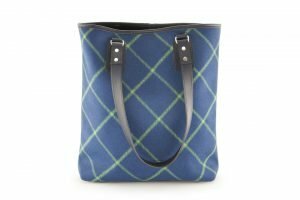 “This was so exciting that I decided to take it beyond small travel bags.” When Liz asked around, she was directed to a small factory in Edenborough who could create the larger tote bags with leather trim, that Liz had in mind for the line. A bump in the road with a divorce and getting out of the hotel business, left Liz wondering if she wanted to continue. 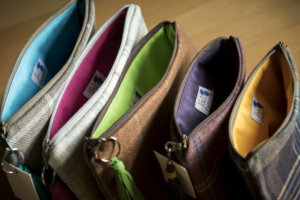 “The answer was yes!” She set up her distribution center in Chicago and is now all in with her venture. 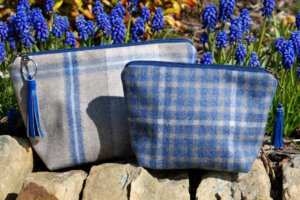 You’ll find her bags at high end boutiques around the country. Start small with a few products and expand as you see growth.